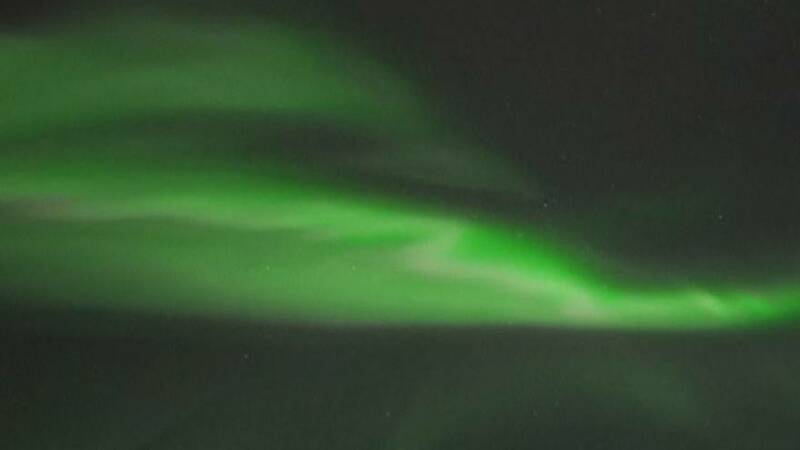 Tourists just south of the Arctic Circle were treated to a stunning display as the Northern Lights lit up the night sky in Rovaniemi, Finland late on Friday. Atmospheric conditions on the sun fuelled another breathtaking display, turning the skies a swirling green and prompting tourists and locals alike to rush outside to watch. Local stargazers say that the Northern Lights appear due to a high coronal hole on the surface of the sun, coupled with strong solar winds.